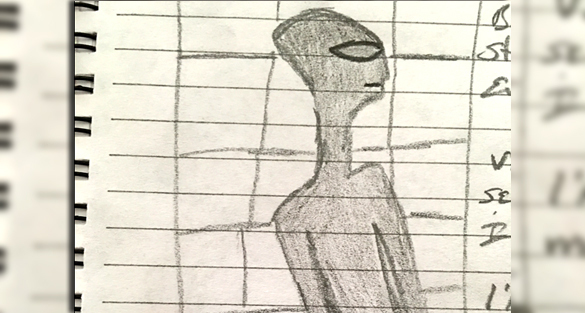 A Virginia witness at Norfolk reports a possible alien abduction after experiencing lost time and personal items that were moved, according to testimony in Case 75365 from the Mutual UFO Network (MUFON) witness reporting database. 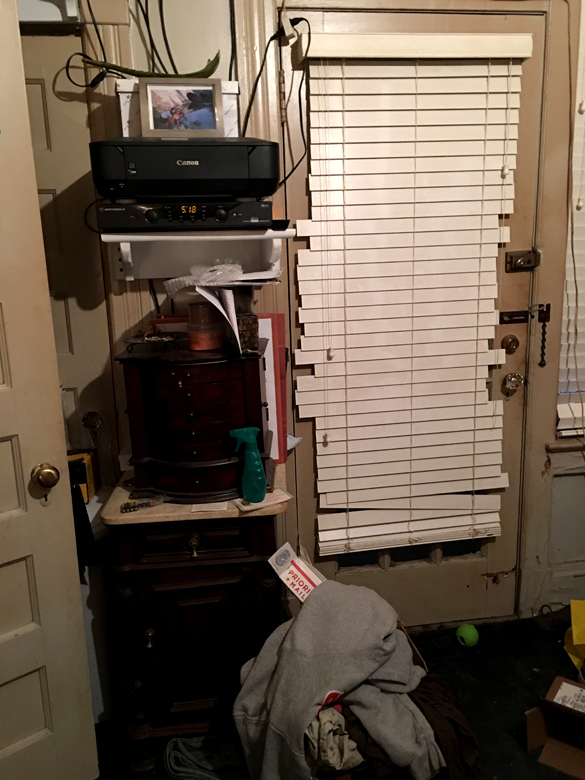 The witness was in her bedroom at 1:47 a.m. on March 3, 2016, preparing to go to sleep, when the incident began. Events continued to be out of the ordinary. The witness may have seen an alien being. The witness then realized there was a loss of time. 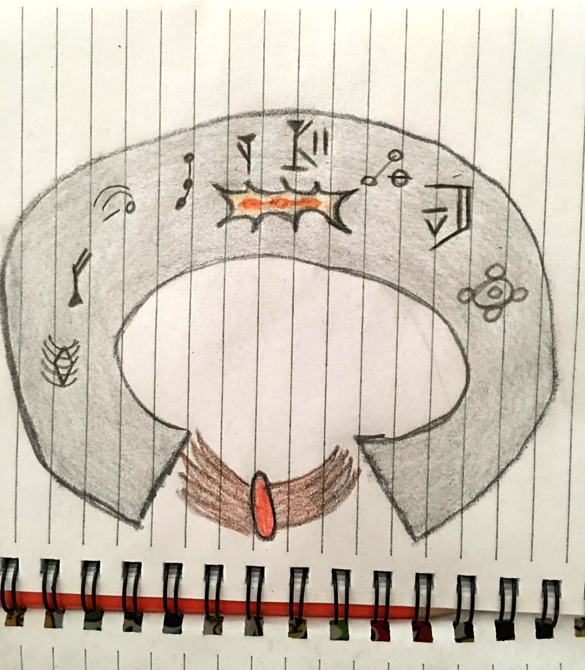 The witness then felt compelled to draw the creature and the bracelet in hopes of clearing her mind and getting back to sleep. The witnesses husband felt somewhat unusual too. The case was reported to MUFON on March 23, 2016. MUFON Virginia Field Investigator Robin Hills is investigating. Please remember that most UFO sightings can be explained as something natural or man-made. The above quotes were edited for clarity. Please report UFO activity to MUFON.com. I can relate – have had incidents throughout my life. I think it all ended in the 90’s though with this last incident. I was alone in my house and woke up one Saturday morning with my sheets wrapped around me and tucked under me, tight, as if I was mummified. 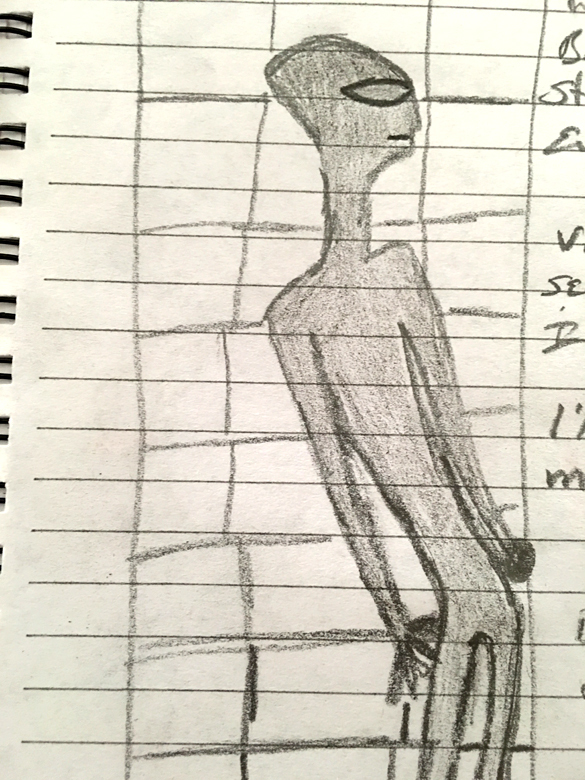 As I woke up and realized how I was wrapped, I could tell it was daylight, and that someone was in the room I froze in fear not knowing what was happening, and pretended to be asleep. I then felt something pointed and hard, like a nail, touch my forhead and I heard inside my head “you will remember nothing”. I remember screaming back (in my head, not out loud) that yes I will remember and this will never work again. Like I said, I have had incidents, but not where I actually woke up before they were gone. It seemed like the atmosphere in the room changed then, and I knew they were gone. I felt there had been two presences there – one beside me with the long pointed nails, and other that was on the opposite side. Once I thought they were gone I pulled the sheet out from under me (all around me) and got up. I had a split level house, my cat was at the bottom of the stairs looking up at me when I got up. I dont think they ever came back after that. This was in Smyrna TN, Sept 92. The bracelet needs to be examined and analyzed, can there be a follow up report on this? I’m calling BS on this story! Aliens aren’t visiting Earth just to move jewelry boxes. The bracelet is intriguing. Three characters (?) remind me of ancient Assyrian/Sumerian or other Mesopotamian Cuneiform And ancient Hebrew but I don’t see any matches to known images, words. I hope the experiencer will keep trying to remember more. Does she think the “Alien” was wearing the bracelet or does she just have a flash of the bracelet? It’s as if moving the jewelry box is a way to trigger her about the bracelet/jewelry. Maybe the alien beings were looking for gold, seriously. There is so much out there that we do not know, so who is to say. We must keep open minds. Remember that being from my ‘dreams’. My experience happened in 3rd week in January 1990. I woke up with my nightgown inside out. My sister about the experience and gave her the cannister for safe keeping ,it has since dissappeard.